Almost since we launched EGOpicks in 2007, we couldn’t wait to be able to do something for all of the drummers out there. In the famous words of Travis Barker, “It’s time to #GiveTheDrummerSome”. After months of testing and product research, we’re so happy to finally add custom drumsticks to the list of EGOpicks products. We’ve even given them an appropriate name that couldn’t have been easier to come up with – EGOsticks! Our sticks come in 2 different hardwoods, and in 3 of the most popular sizes. Although all of our drumsticks are A+ for playing, our Maple sticks are priced right for selling at your merch tables – where our White Hickory sticks are premium quality, and are sure to impress even the pickiest of drummers. 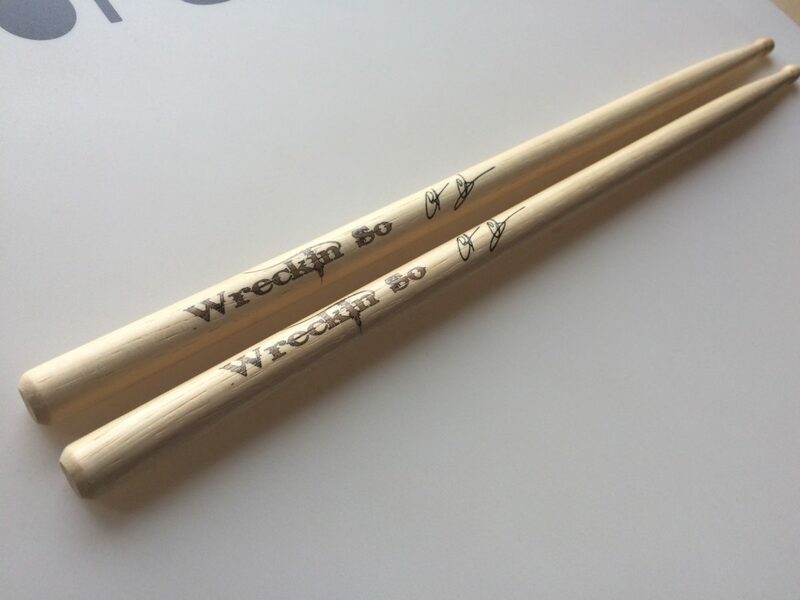 Please visit the Custom Drumsticks Pricing and Info Page to find out all the details, and see some of the custom sticks we’ve had the pleasure of making so far.